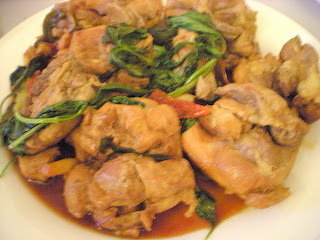 Here is the recipe from my Taiwanese friend. 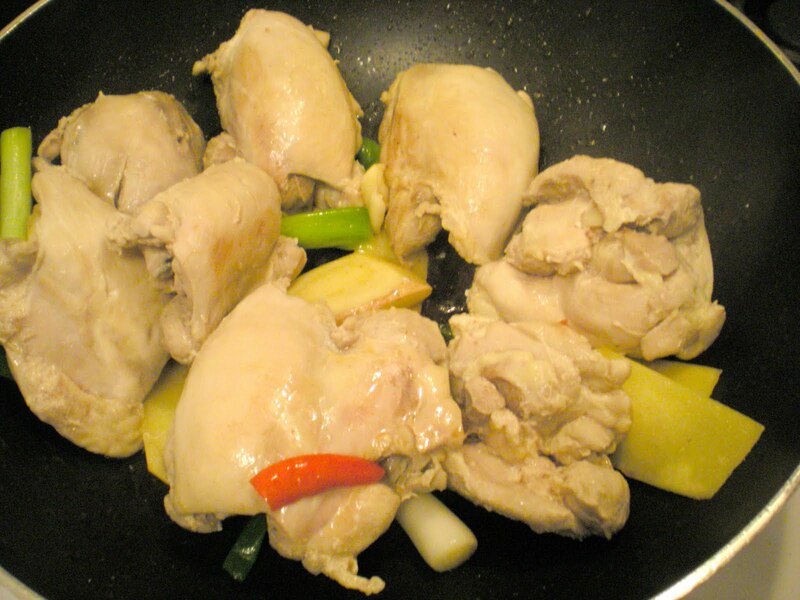 Sanbei means a combination of sesame oil, rice cooking wine and soy sauce. 1. Boil the chicken pieces. 2. Meanwhile, cut green onion into large pieces and for chili pepper, remove seeds and cut into 4 pieces. 3. 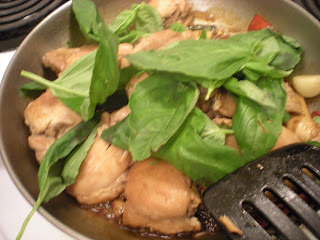 In a large skillet over medium heat, add ginger, sesame oil, garlic, green onion, saké, soy sauce and sugar. Mix well and then add chicken. 4. Turn up to high heat. When the chicken adsorbed most of the sauce. Add basil and serve.